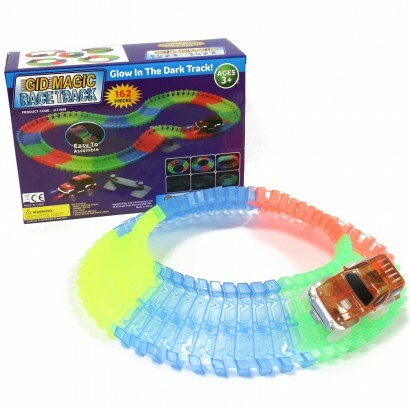 Twist, bend and tilt the magic race track pieces to create the most flexible speedway ever! 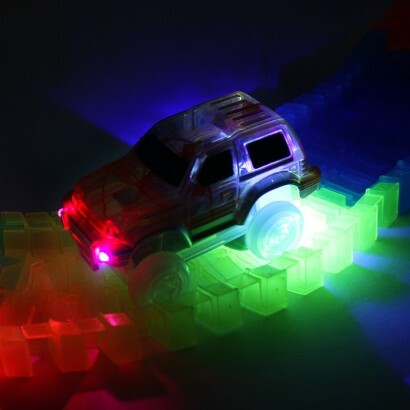 Race the LED car along the colourful race track that uses Serpentine technology making it easy to create twists, turns and even full on tilts for ultimate 3D racing! 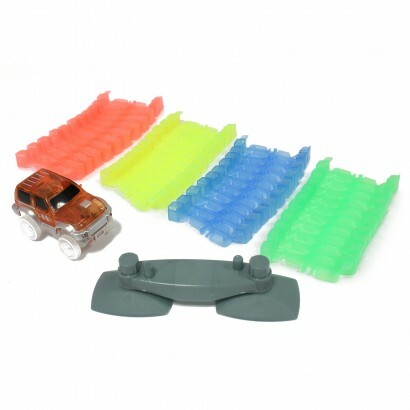 Easy to fit together, the track pieces simply snap into place making this track kit ideal for even smaller hands to make the most creative tracks from their imagination, from curves and tilts to a full 360 degree hamster wheel! 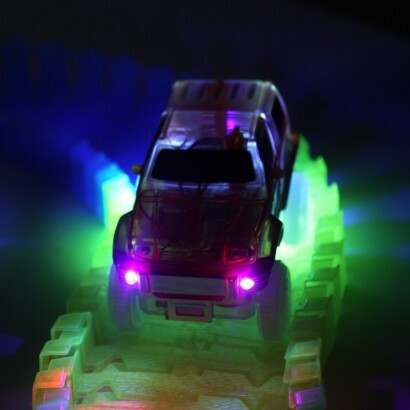 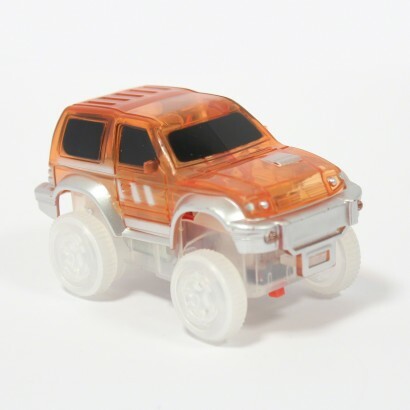 The car included has LED headlights and there's a UV LED to the back of the car that supercharges the glow in the dark track so that racing doesn't have to stop at night! 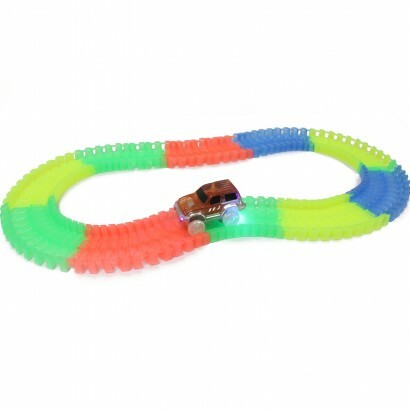 Serpentine technology allows track to bend, twist, tilt and even create 360 degree wheels!